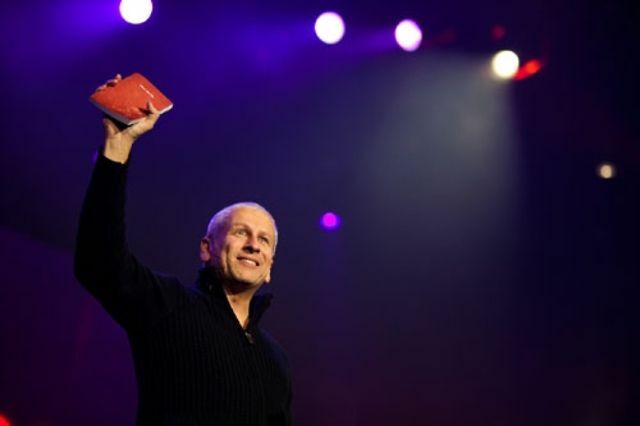 It was announced within the last 24 hours that Louie Giglio had withdrawn from the program at President Barack Obama's inauguration later this month in the face of criticism over a 15-year old sermon referencing homosexuality as a sin (See Louie's statement here). Many will want to debate and desire to nuance the specific wording he used in the sermon, but his points are largely mainstream evangelical beliefs. For those of us who know Louie, this is a strange moment indeed-- but also illustrative of how our culture has turned. Louie has dedicated his life to helping others-- the poor, the enslaved, those trapped in sexual trafficking. Yet, I do not recognize the person I see portrayed on the news-- a bigoted homophobe driven by his hatred for gays. You can be certain that is not Louie Giglio--even still some prefer to believe that any opposition to homosexual practice, and people who hold that view, must apparently be silenced for the common good. Some are wondering if those who hold to traditional evangelical beliefs on homosexuality are no longer welcome in the public square. In a recent LifeWay Research study, 37% of American adults agreed that homosexuality is a sin. That number is declining (down from 44% according to a 2011 survey), but it is still a substantial minority. Yet, such views (which were mainstream just a few decades ago) are indeed now a minority position--and viewed as unacceptable by many in society find unacceptable. This can be an important moment as America, the media, and President Obama's administration to consider a simple question. Are people of faith no longer welcome as they continue to hold the beliefs they have held since their foundation? Must they jettison their sacred texts and adopt new views to be accepted as part of society? If they do not, will they be marginalized and demonized even as they serve the poor, care for the orphan, or speak against injustice? Or, instead, can we recognize that a substantial minority in our culture hold views they see as rooted in their scriptures and part of their faith, even though those views may not always be popularly accepted? Yes, the First Amendment protects these views. But we also have to decide if the people who hold such views can be protected by the so-called tolerant culture as they seek not just to hold those beliefs in secret, but also dare to utter them in public--even on a sermon tape fifteen years ago.